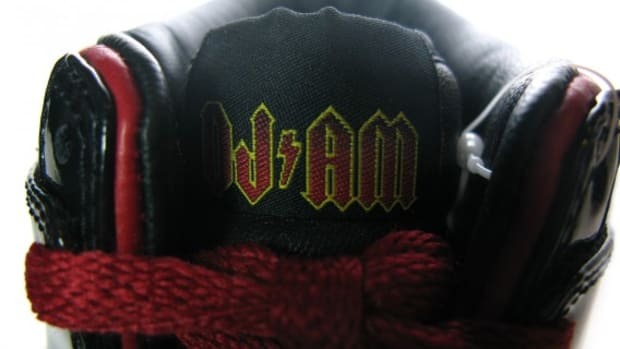 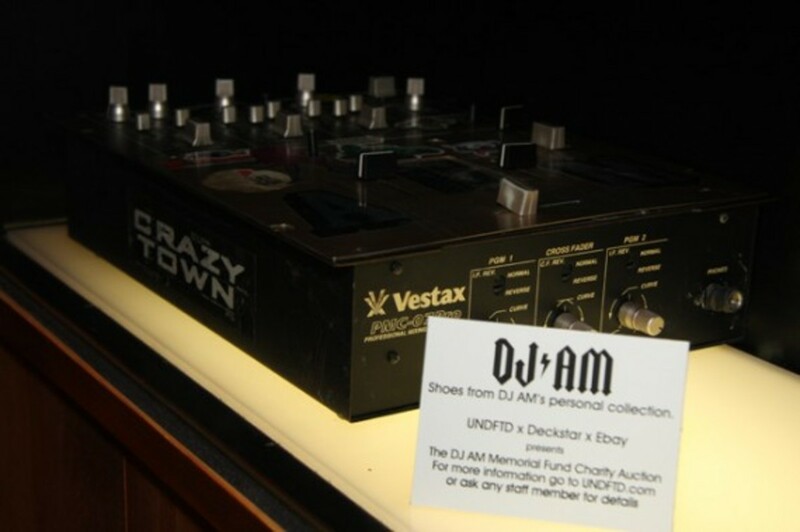 DJ AM x UNDFTD Silverlake - "Under the Glass"
The display of DJ AM&apos;s sneaker collection at Undefeated Silverlake continues with more items from his personal collection. 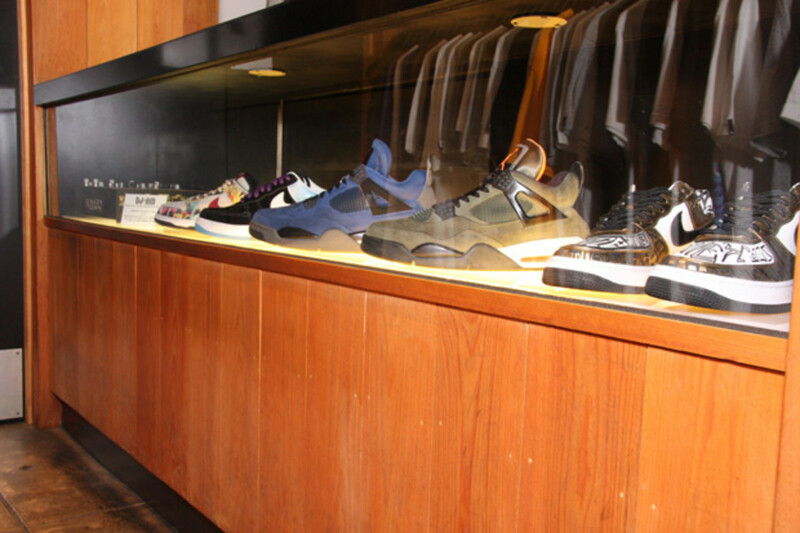 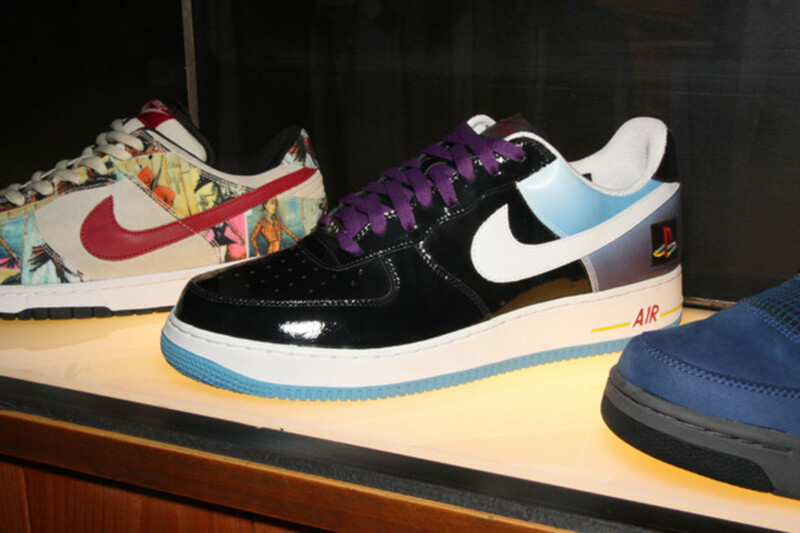 In his previous display, some notable sneakers were behind the glass, such as the N.E.R.D. 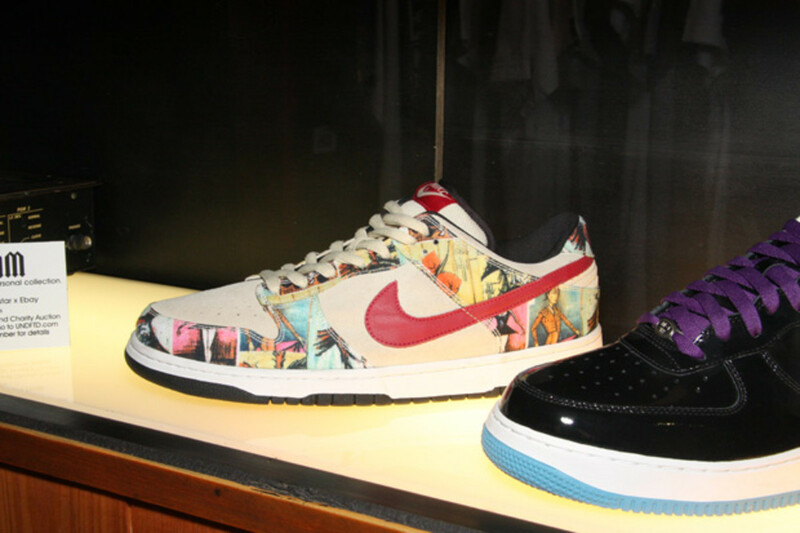 SB Dunk Hi and the Orchard Street Dunk Hi. 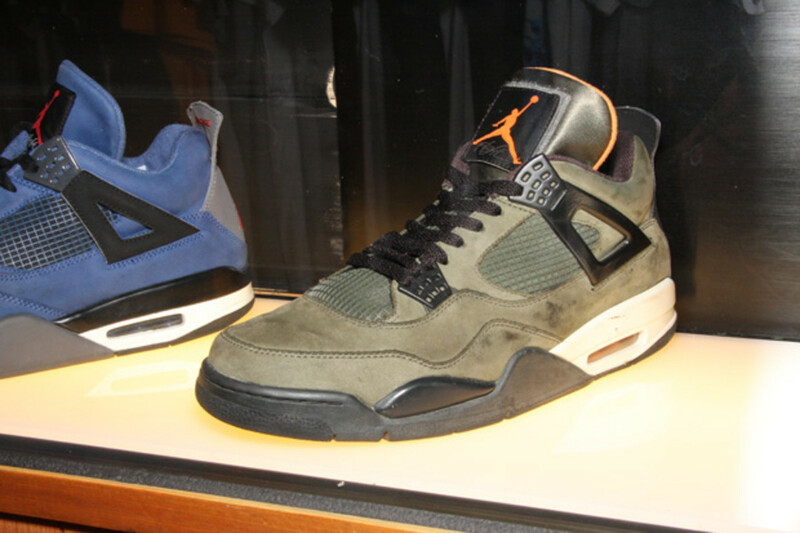 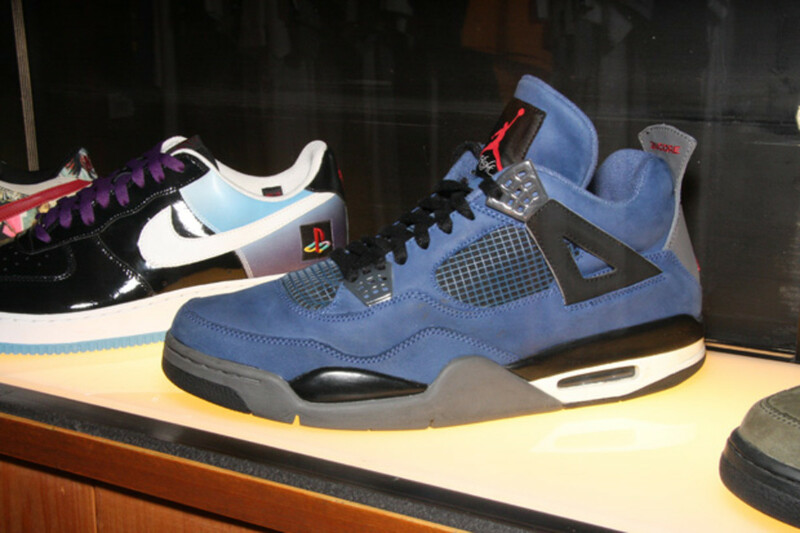 In this collection two rare colorways of the Air Jordan IV (4) are on display, one of which is the 2005 Undefeated model in olive green, the other in a darker blue, black, and gray colorway. 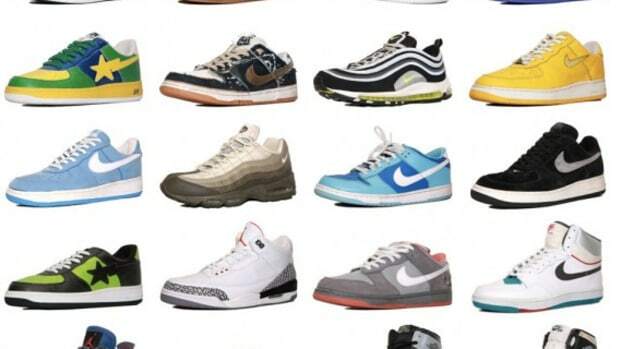 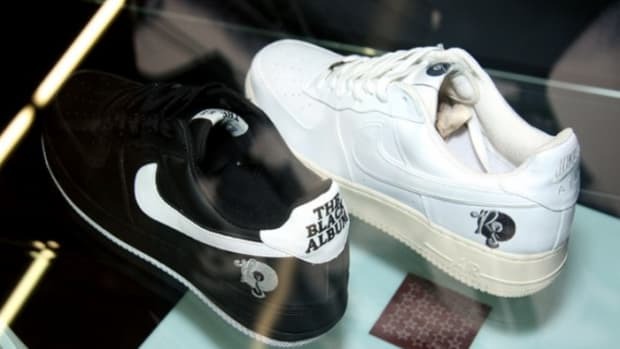 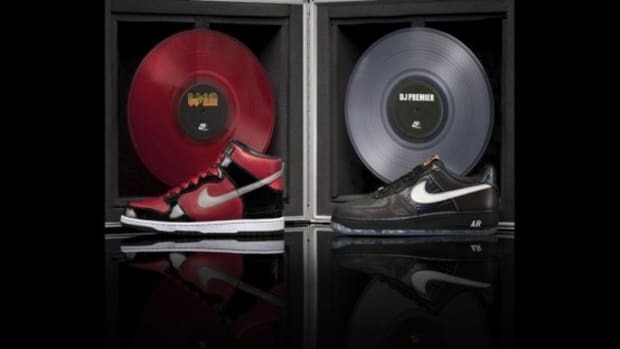 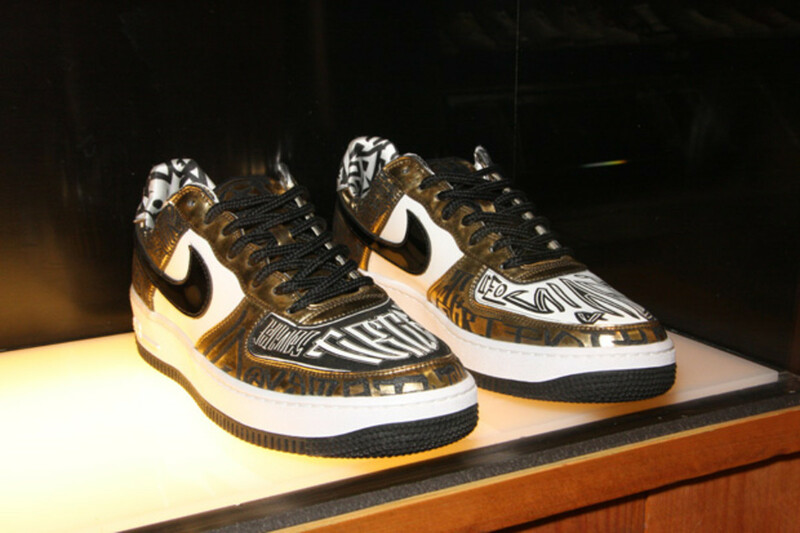 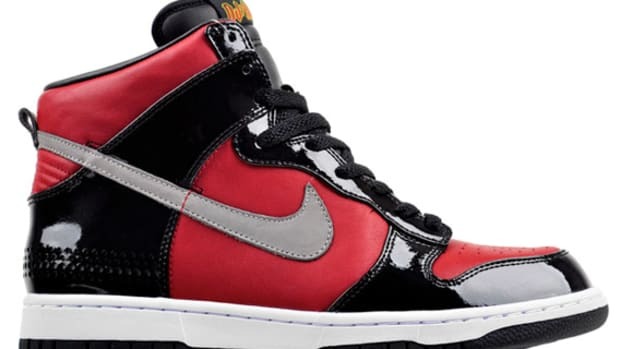 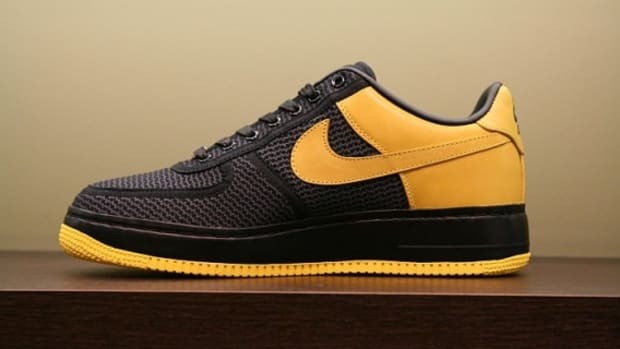 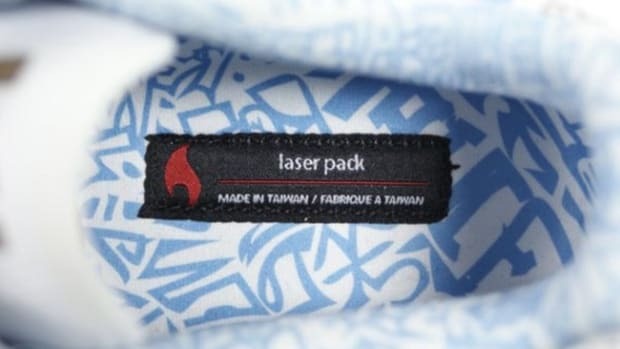 There is also a patent leather Playstation Air Force 1, as well as a Fukijama-designed Air Force 1, the likes of which was featured on Entourage. 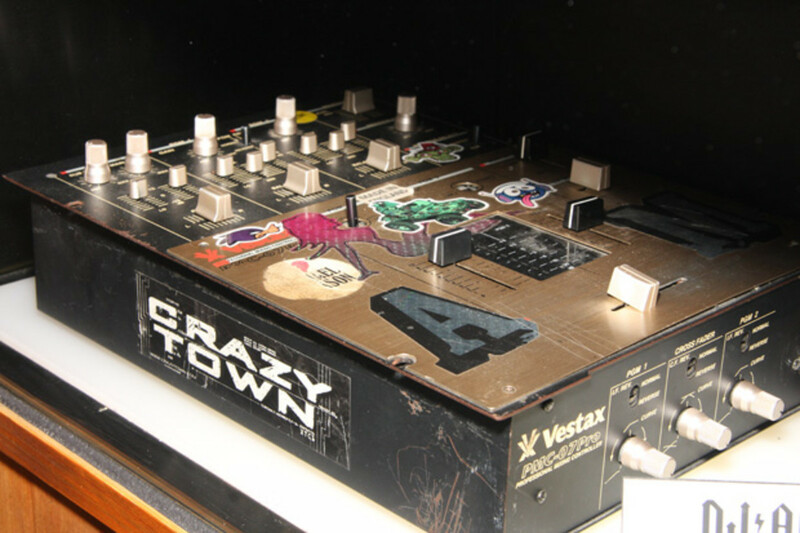 Along with his sneakers, which are still available for auction on Ebay to benefit his charitable organization, his Vestax mixer is on display as well, complete with all the stickers and scratches from his extensive travels. 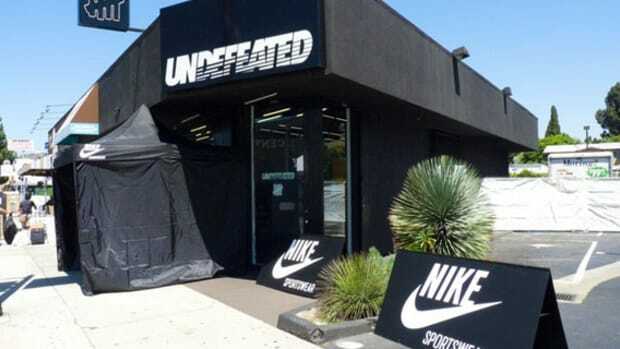 Stop by Undefeated to get a closer look at some of these unique items.